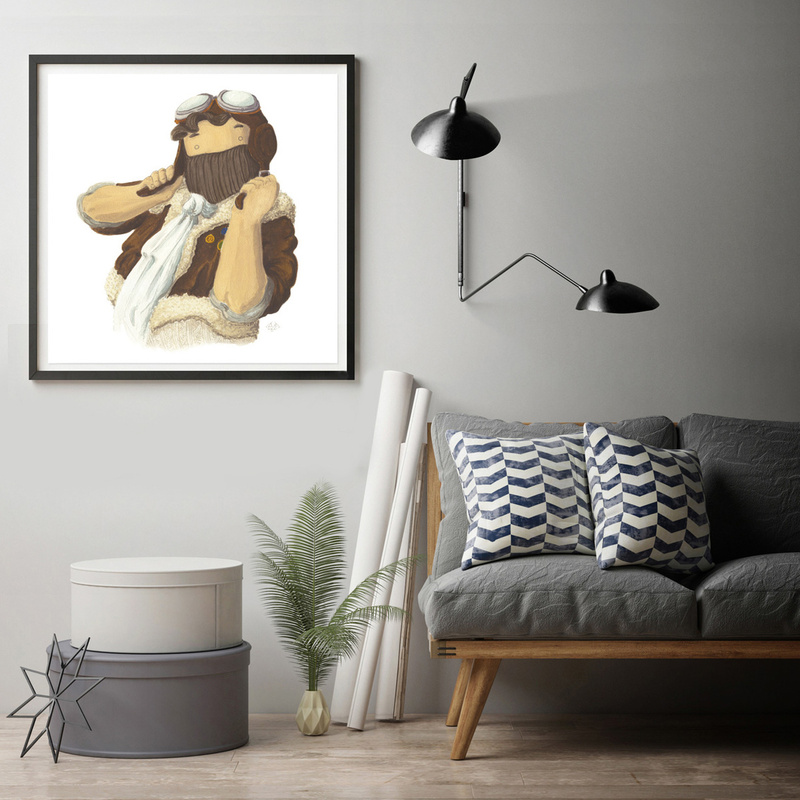 The Amelio the Aviator print: decorate your home with Arthewall's beautiful prints! 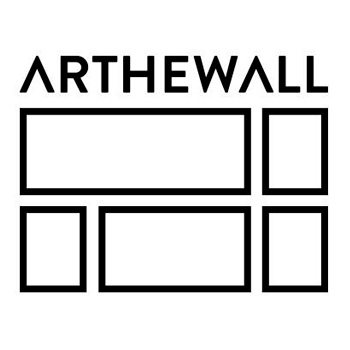 Arthewall is a truly iconic brand when it comes to decorative prints, which it produces using cutting-edge printing techniques and high-quality paper. The latest collection by Arthewall sees men as protagonists: strong and bearded, these men have the classic tough look yet at the same time they are cute and sweet which makes it clear that, although busy with macho jobs, these man are soft and fluffy on the inside. 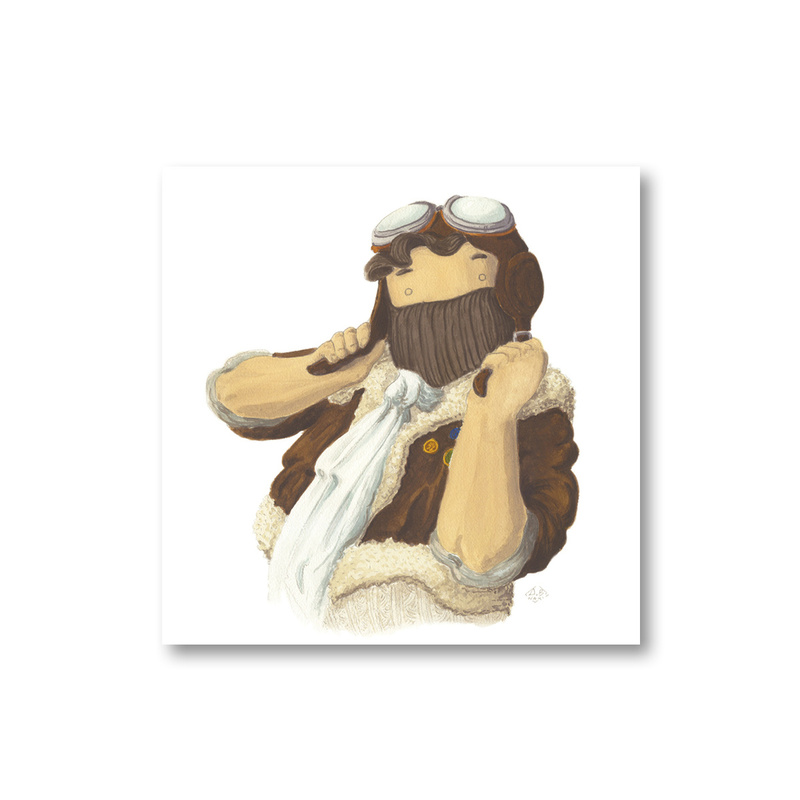 The protagonist of the Amelio the Aviator print is a dark-bearded man in aviator uniform and wearing a helmet. Highly decorative and suitable for all modern, bright and colourful environments, this print is perfect even to enliven a room that would otherwise be too formal. Without a doubt this particular design is ideal for those who love the world of airplanes yet the look on Amelio’s face will charm anyone. As for where to place this print, the opportunities are endless: you can hang it on your bedroom wall, in living room, in a studio, or even in public places such as shops, bars and various other venues . The Amelio the Aviator print can also be a wonderful idea for a gift, easy to match to any existing decor and at the same time destined to arouse great curiosity when ‘discovered’. As previously mentioned, the quality of Arthewall is undisputable, and perfectly in line with the company’s tradition, this print is made using a state-of-the-art material such as 270g Fuji Paper Satin and cutting-edge techniques. Information: The frame is not included.